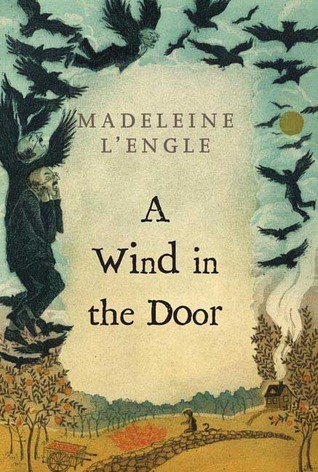 Madeleine L'Engle took science and made fantastic stories for children. She combined the modern sciences with the magic of faith and tradition. A Wrinkle in Time presented children with string theory, stars, and the power of love. Now we get to explore identity, mythology, and biology. While I'm sad we've left behind Mrs. Whatsit, Mrs. Who, and Mrs. Which, we have a new and fascinating set of characters. And dragon fewmets. Proginoskes and Sporos join Meg, Charles Wallace, and Calvin at school with Blajeny. The trio have traveled the vast universe to save their father from IT and learned about the dark stain spreading through the cosmos. Now they must learn that size is relative and darkness can taint everything. We are introduced to the true villains of the series. The Echthroi are fallen angels, whose goal is to stain the song of the cosmos, and they are very determined to destroy Meg, Charles Wallace, and Calvin. They do not want the students to graduate from their three trials and create quite a bit of mischief and mayhem. Meg's struggle can become a little tedious and certainly overdone. We knew from the first book that she has a hard time accepting herself and her abilities. We really did not need the continuation. It tarnishes her education in becoming a Namer--in my opinion. The concept of Naming is wonderful and should have been able to shine more brightly. Proginoskes is one of the most beautiful characters L'Engle has created. I seriously broke down into tears by the end of the book, but they weren't the sad kind. The poignancy of this novel is just as strong to me as an adult as it was as a child (perhaps even more, actually). This is easily my favorite series to make children think about the world around them and discuss the bigger questions. While "The Time Quintet" makes up quite a few fantastical things and places, the concept of Let's Pretend and reality is key to the entire series. What is real?